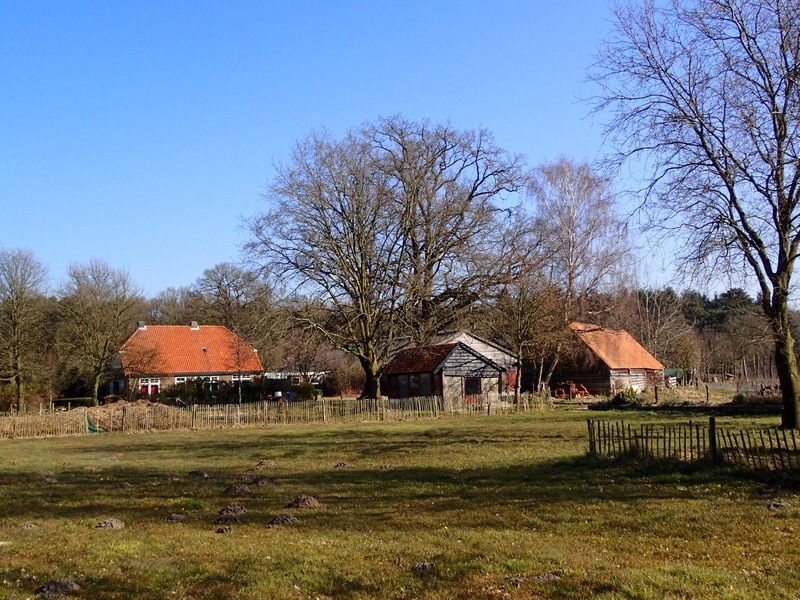 In the coming months we will share information on this page about the development of Farm-yard sharing or Erfdelen, as it is called and becoming popular in The Netherlands. Since we started this website we received more than 1500 positive reactions and the Erfdelen homepage scored so far 419.000 hits (whatever that means ;-). More than 900 households receive our newsletters. We developed the concept Erfdelen for ourselves, two 60+ couples who want to live more social, sustainable, green and small scale. And who want to live in the countryside where these days five farms a day are closing down and in many cases abandoned. We found a very suitable farm yard nearby and came to an agreement with the owner. And we found some others who want to live with us at the yard in four small new separate houses and one in the old farm. The rest of the farm building will be used for collective things like guest rooms, now and then cooking together or making music. Another important issue in our concept is sustainability. It should be no problem to build the houses in such a way that they produce more energy than we need. Many people are convinced nowadays that it is possible to live in a smaller house and to own less stuff. The Erfdelen concept makes it easier to share stuff like cars, washing machines, lawn mowers, etc. Other possibilities are: to produce your own vegetables, to have your own water supply and to handle your own wastewater. There is much interest from people who want to live like that, not only from 60 plussers and singles but also from (young) families who cannot pay the city prices and want to live healthier. And from financial institutions, local and district authorities and farmers who want to sell their yard. That's why we are working on a manual to share knowledge about such various subjects like: the formation of the owner group, financial and legal matters, government policy, sustainable building, etc. Because there are similar developments in Belgium, Denmark, Germany and other countries we make plans for European cooperation, which could make Farm-yard sharing attainable for more people.